Proper puppy socialization is an essential component to raising a happy and well-balanced dog. A puppy’s formative period has a direct correlation to their long-term well-being. For this reason, it’s imperative that you provide proper socialization to your puppy between 8 weeks – 16 weeks of age. 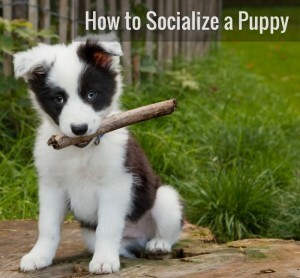 Use this Puppy Socialization Checklist to help you get started. The operant word is “proper”. When socializing a puppy, it’s critical that all interactions be positive, not just neutral and certainly not bad. If puppies get early and frequent positive experiences between 8-16 weeks of age, with varying people, objects, noises, settings, etc. it will help develop their confidence, ability to handle stress, and overall knowledge of the world. Below is a list of various elements of life worth considering for socialization. Use your discretion to determine with is safe and appropriate for your puppy. You can also note your dog’s response to each exposure: Ex. 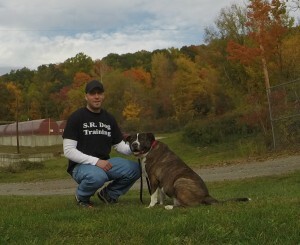 displays of aggression (growl, bark, lunge), Avoidance, Freezing, Calm/Relaxed, Able to Take Treats, etc. In conjunction to this, use specific Dog Training Sound Effects to help positively condition your puppy to noises. Listen HERE. As I said from the beginning, positive frequent socialization between 8-16 weeks of age is critical to raising a happy and healthy puppy. Exposing your dog to various sounds and noises is also critical. In conjunction with the above, make sure you are housebreaking your puppy, crate training, developing a bond with your dog, and utilizing 5 Obedience Commands to Make Your Life Easier.